On the way back from Trader Joe's. These small panniers don't carry that much compared to the other ones I've got; 3.5 gallons of soy & rice milk & 10 pounds of snacky things for the bears fills them COMPLETELY to the brim. 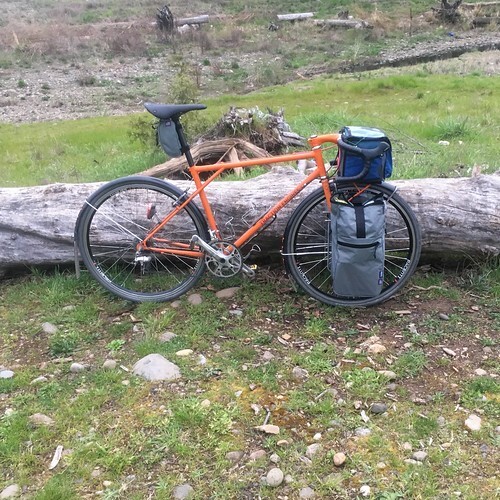 But 16-17 pounds per pannier is a moderately good test about whether they'll disintegrate when I go rattling down an unpaved road or path.